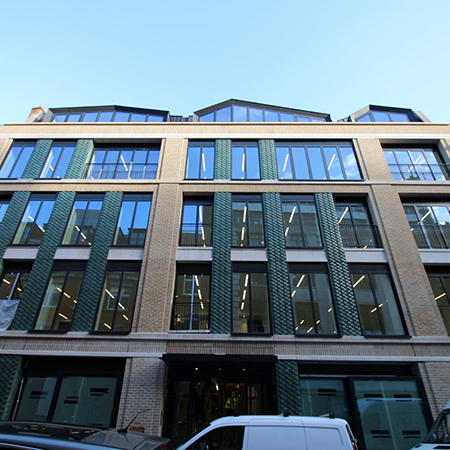 AET Flexible Space, underfloor air conditioning specialists have completed a West End project in London at Hammersley House, 5-8 Warwick Street. 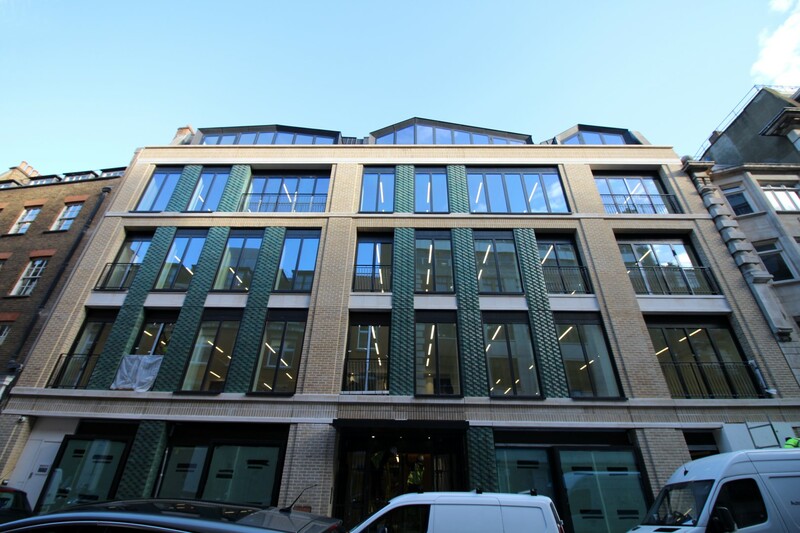 The six floor property has been stripped back to the core and undergone a full redevelopment, including redesigned windows and a vibrant new green brick façade to grant more architectural definition and visual interest from the street. 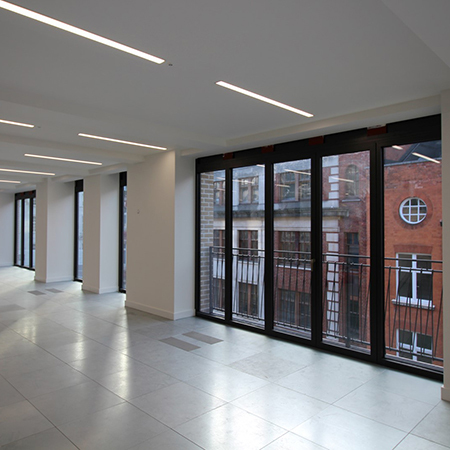 M&E Consultant, MTT specified the mechanical services design for the refurbishment and AET Flexible Space worked in conjunction with the appointed M&E Contractor, WBS Mechanical Services to deliver the underfloor air conditioning system specified for the 11,000 sq. 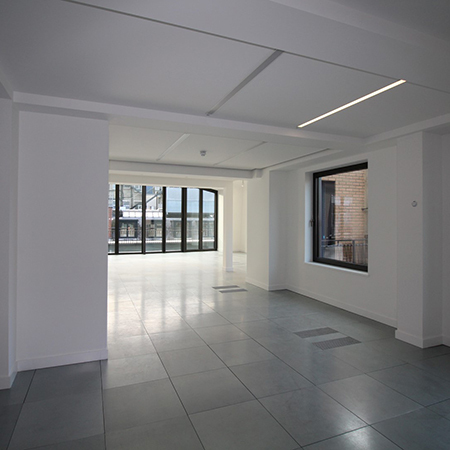 ft. of Grade A office accommodation on floors 1-4. 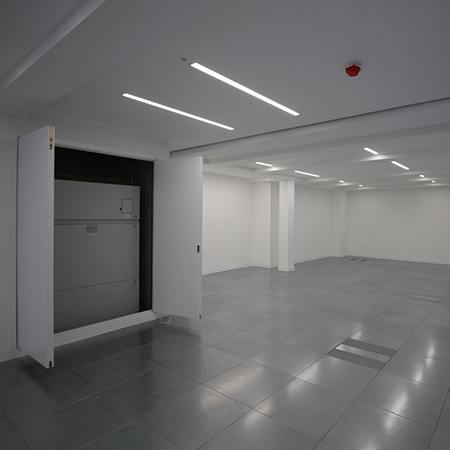 With underfloor systems, fully conditioned air is fed into the plenum by zonal downflow units (CAM), which is then supplied into the workspace via fan terminal units (Fantile) recessed into the floor. 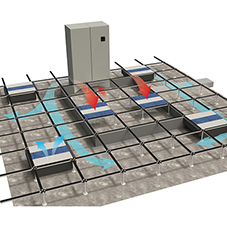 Systems can be either chilled water or direct expansion, configured with either floor level or high level return and they can easily integrate with passive or other ventilation systems. 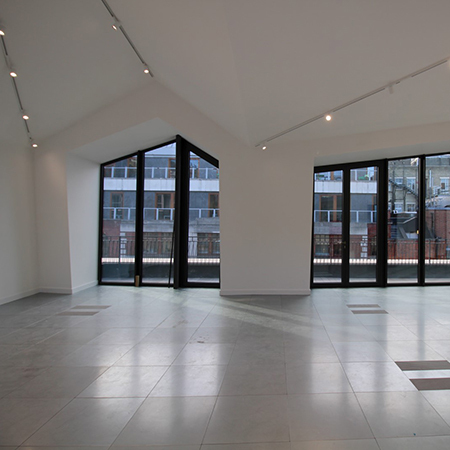 The final system specification at Hammersley House is a CAM-V direct expansion (DX) system, with underfloor supply air and return air at high level. 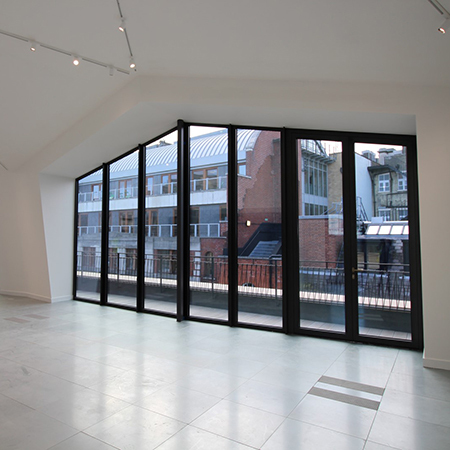 The high level return air option is often preferred as it can offer greater flexibility for positioning Fantiles for future and speculative tenants as there is no air segregation baffle dividing the underfloor plenum. A total of seven CAM-V downflow units provide conditioned air to the four floors, with two zones on floors 1 to 3 and a larger single unit for the smaller 4th floor. 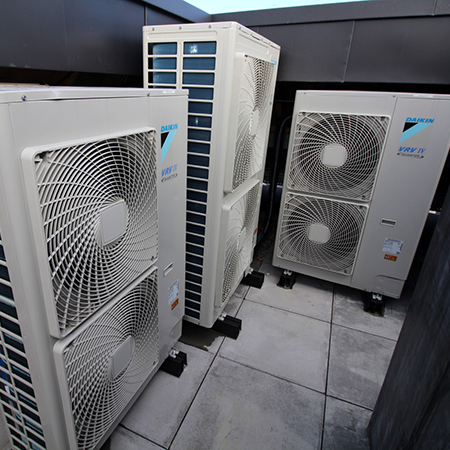 These each are connected to respectively sized, high efficiency Daikin VRV4 heat pumps located on the rooftop. The underfloor void is 400mm, more than adequate to accommodate the standard TU4 Fantile unit which all have additional 500W heaters for additional performance. 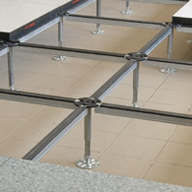 A total of 59 Fantiles were supplied by AET, approximately 15 per floor and the system is connected to a central BMS using an AET Flexgateway interface module. The project has been developed under Royal London’s sustainability framework and is expected to be awarded BREEAM “Very good” status. The newly refurbished office accommodation will be available for tenancy early 2018.